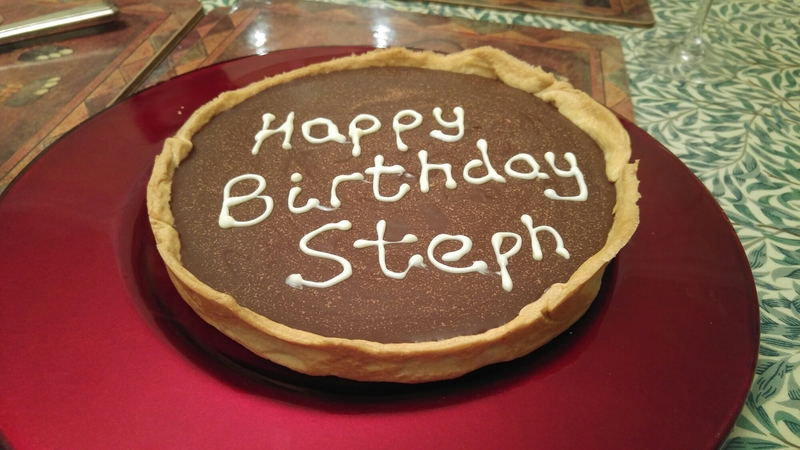 29/03/16 – Belated birthday tart! Back to work today… But it wasn’t all bad as it was also another round of “Come Dine with Corinne!”. After a slight palaver of getting home due to lightening striking the tracks, we eventually made it to Corinne’s and had an increible dinner, followed by such a thoughtful chocolate tort – I am a lucky lady, with such wonderful friends! 30/03/16 – Cheeky house viewing!